The festival finally arrived at the Inca Fortres at Sacsayhuamán. The Suyus are finding their location. The Suyus are located to their respective direction of the Inca Empire Tahuantisuyu. 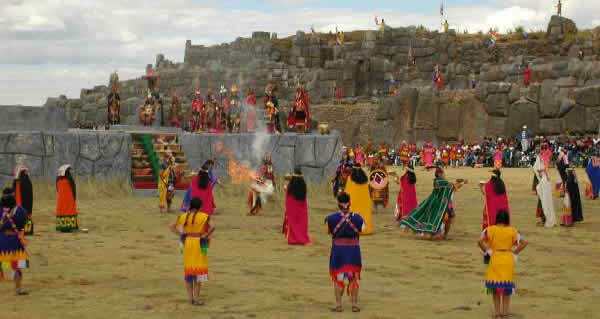 The Sapa Inca is inaugurating the New Year or the Inti Raymi. i like it very much... i want to stay in that place..